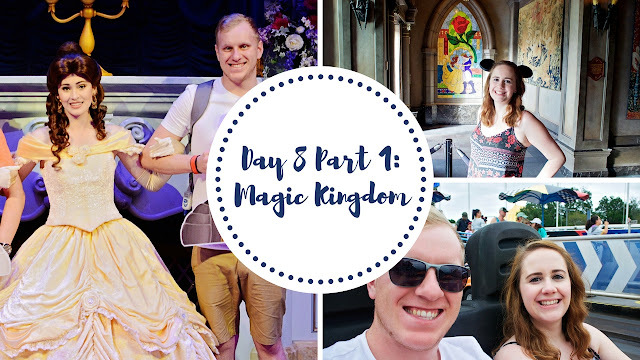 This week we're back at Magic Kingdom! After almost missing our pre-park open ADR we have a Beauty and the Beast themed morning with breakfast at Be Our Guest and then Harry is a knight in Enchanted Tales with Belle! We watch the Muppet's Great Moments in History, the Main Street Trolley Show and catch the Main Street Philharmonic, grab lunch at Pinocchio's Village Haus and ride the Liberty Belle and it's a small world. Of course we make time for more Sorcerers of the Magic Kingdom and finally we take a spin on the Tomorrowland Speedway!